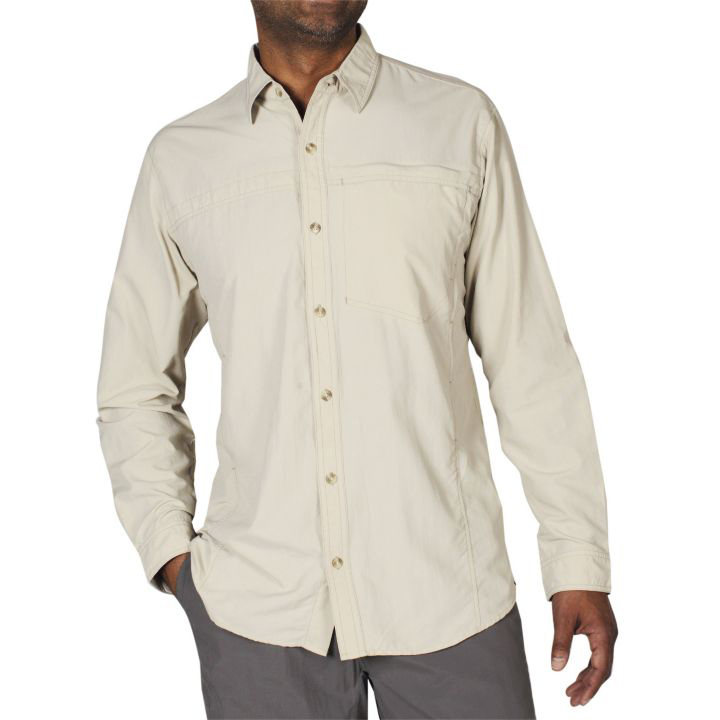 The BugsAway® Breez'r™ is Insect Shield® Repellent Apparel from ExOfficio. The Breez'r features Flow Thru Ventilation on the front and back to keep you cool and protected on hot, buggy days. The breathable ripstop nylon is lightweight and rated UPF 30+ Sun Guard, as well as wicking and quick-drying to keep you dry and comfortable anywhere you roam. Permethrin, the active ingredient in Insect Shield, is invisible, odorless, and so tightly bonded to the fabric fibers that it retains effective repellency through the life of the garment. It repels mosquitoes (including those carrying West Nile virus and malaria), ticks, ants, flies, chiggers and midges (no-see-ums). Insect Shield repellent lasts 70 washings. Garment Weight : 8.5 oz.